Work has started on utilities for the Retreats at Dustin. 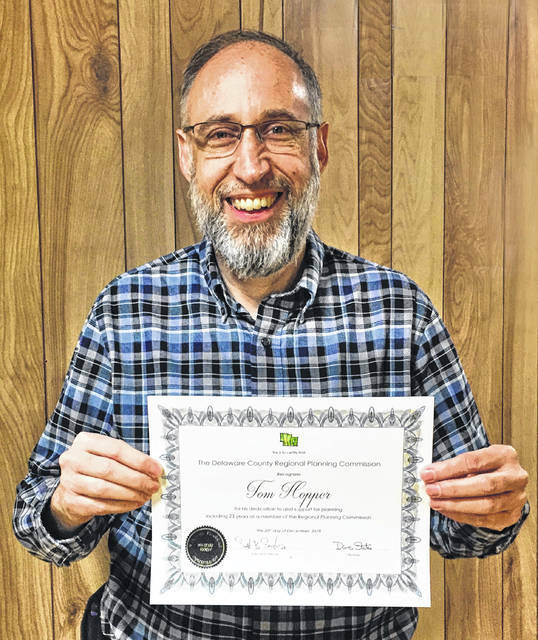 The Delaware Regional Planning Commission recently recognized Mayor Thomas Hopper for his 23 years as a member of that body, representing Village of Galena’s interests. Galena village council’s meeting of February 25 was preceded by a public hearing regarding the application made by M/I Homes of Central Ohio, LLC to add certain parcels of land to the Galena New Community Authority District (NCA). Council voted to approve the addition of these parcels. The NCA Board then met on Feb. 28 and voted to accept the new property into the NCA. Village of Galena established the NCA to finance public infrastructure improvements associated with new land developments, whereby each property in the NCA pays an ongoing charge that is divided between Big Walnut Schools and the Village. 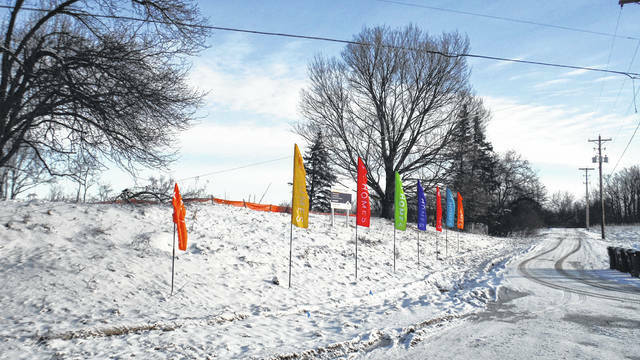 Another Feb. 25 hearing was convened for village council to consider the proposed rezoning of twenty-three parcels in an older part of the village from Planned Industrial District to Planned Residential District. For procedural reasons this will be brought before council again at its March 25 meeting. Guest participation during the council meeting included Shelia Hiddleson and Jennifer Strong of the Delaware General Health District who gave updates about that agency. Also, council heard about the merits of the Bee City USA Program from local expert Lorie Armbruster. Council will consider whether to enroll the village in this program. Fiscal Officer Suzanne Rease reported that just three bids were received from financial institutions pursuant to the public advertisement for depositing $500,000 of the village’s inactive funds for a period of one year. The bids were opened and, after discussion, council instructed Rease to obtain further details that will enable a more informed decision to be made for awarding the contract at the March council meeting. Village Administrator Jeffrey White reported that planning and design is underway for the Galena Brick Trail Phase 3 project. This is the segment of the Ohio-To-Erie Trail that will connect Galena to Sunbury. Construction is anticipated during the second half of 2019. The village’s engineering firm, K.E. McCartney & Associates, Inc., has been authorized to proceed with the design. Field work related to land surveying and site preparation will start during March. White also reported that construction of the village’s new water reclamation facility should be “substantially complete” by the end of February. The so-called commissioning of the plant, which is the process of starting the plant and bringing it fully online, is expected to begin during the first week of March. The commissioning process could take four to six weeks, but may turn out to be shorter or last longer. An expert from Suez, the company that manufactured the plant’s core equipment and operating system, will be onsite to guide the entire commissioning process. Meanwhile, exterior site improvements and landscaping will continue over the next few months. After that, a public grand opening will be scheduled. Legislation considered by council included ordinances about on-street parking during snow and ice events, about adopting the Ohio Basic Code, and about suspending Section 137.09(E) of the Ohio Basic Code for qualifying properties within the village limits. The latter two ordinances were passed and the parking ordinance will have its third reading at the March meeting. In addition, first readings were made of resolutions regarding management of the baseball field at Ruffner Park for 2019, and for collaborating with the Greater Galena Civic Association for Summerfest 2019.
https://www.sunburynews.com/wp-content/uploads/sites/48/2019/03/web1_DSCF4019.jpgWork has started on utilities for the Retreats at Dustin.